PrezentareNUMA operative Kurt Austin takes on a madman fronting as an evironmentalist in this #1 New York Times-bestselling series. Sixty years ago, an eccentric Hungarian genius discovered how to artificially trigger such a shift in the polar ice caps, which could cause massive eruptions, earthquaks, and even climate changes. But then his work disappeared, or so it was thought. Now, the charismatic leader of an antiglobalization group plans to use it to give the world's industrialized nations a small jolt, before reversing the shift back again. The only problem is, it cannot be reversed. Once it starts, there is nothing anyone can do. Austin, Zavala, and the rest of the NUMA Special Assignments Team must make strange alliances to protect this technology from being exploited by their new and power-hungry nemesis before the entire planet is made to pay. 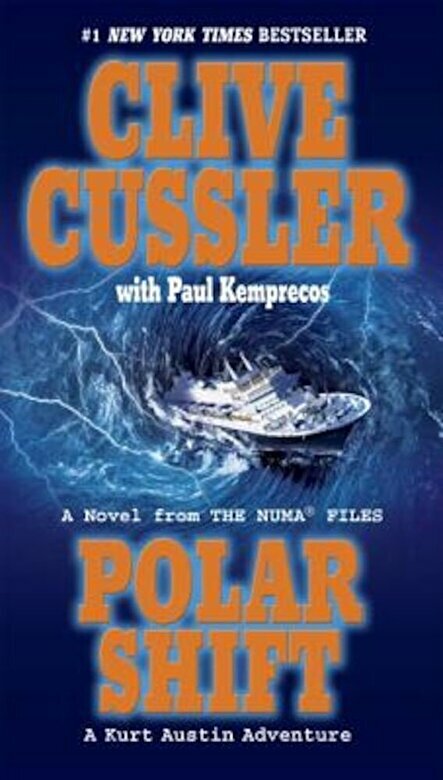 Rich with all the hair-raising action and endless imagination that have become Cussler's hallmarks, Polar Shift is a wonderful thriller--indeed, "vintage Cussler."